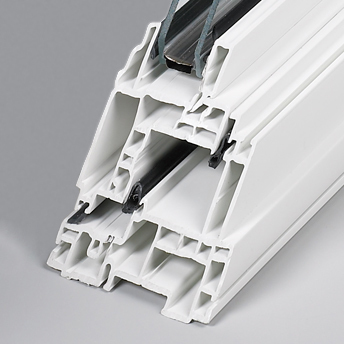 The PVC used in our windows is the most researched and thoroughly tested plastic in the industry. Specifically extruded into a multi chamber profile for increased strength and durability using a minimum amount of costly, recyclable material. By nature vinyl does not conduct, it insulates against both heat and cold and combined with the multi chamber design creates one of the most energy efficient frames on the market. The frames are designed to do a better job protecting and supporting the insulating glass units so thermal durability is maximized and the chance of delamination reduced. Our frames are practically maintenance free. Frames stay clean with the wipe of a soft cloth or heavy rain. Never paint or stain again!